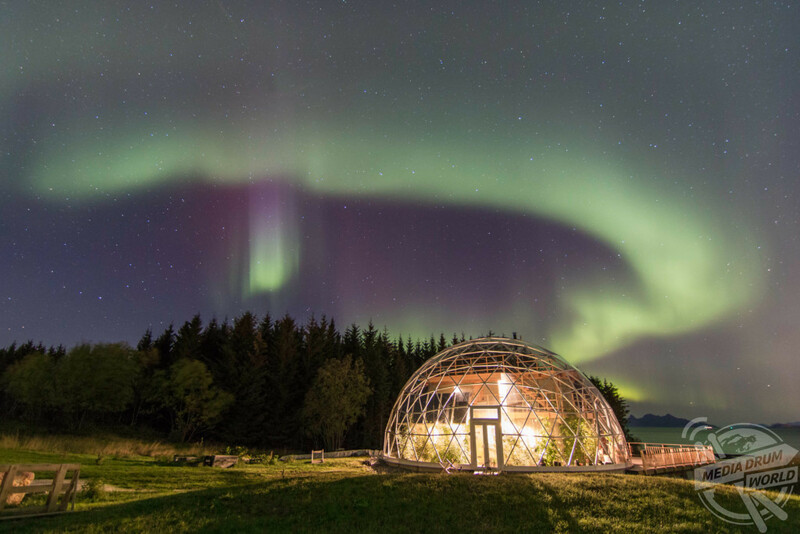 STUNNING photographs have revealed a £297K eco igloo home for practicing yoga under the Northern Lights. 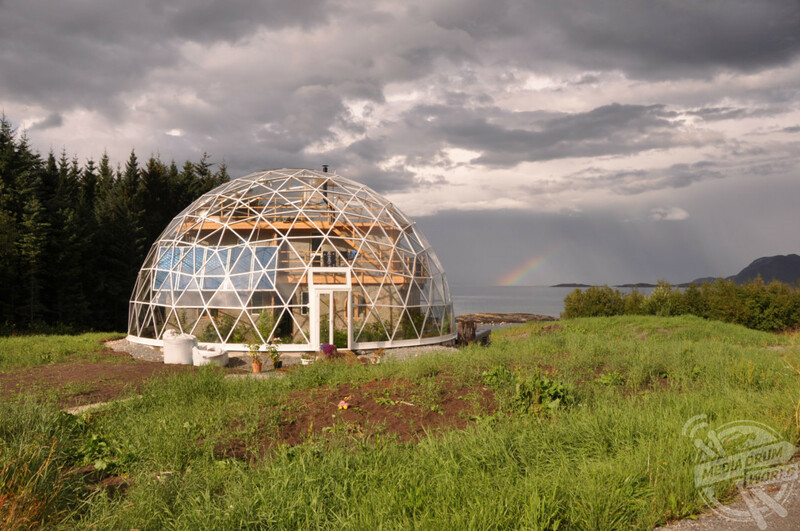 The 240-square-metre igloo home has a 175-square-metre geodesic glass dome for its exterior, creating the igloo shape and a greenhouse effect which provides warmth to the extensive garden where a family grows herbs, vegetables and have several fruit trees. The garden gets its water and nutrients from a waste water treatment system. 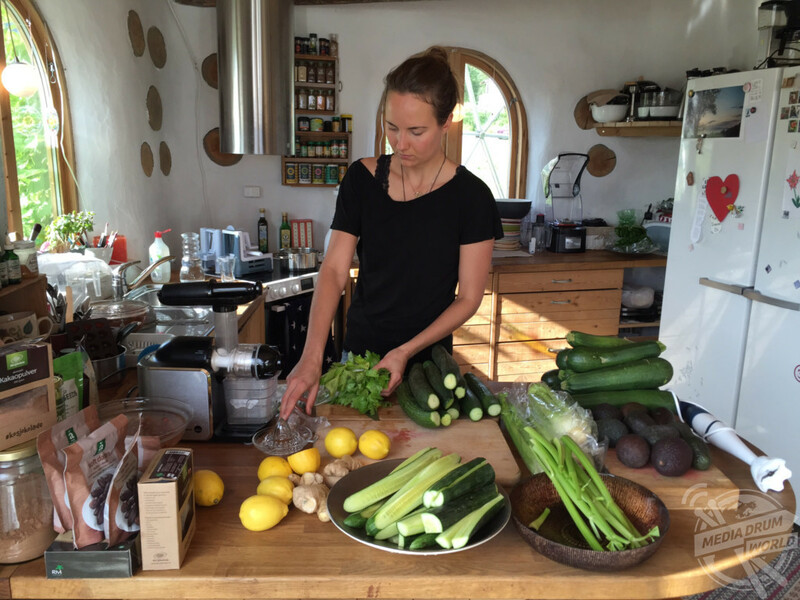 Ingrid Marie Hjertefølger and Benjamin Hjertefølger are both permaculturists who designed planned, and built their ultimate eco home on Sandhornøy, an island in Northern Norway. 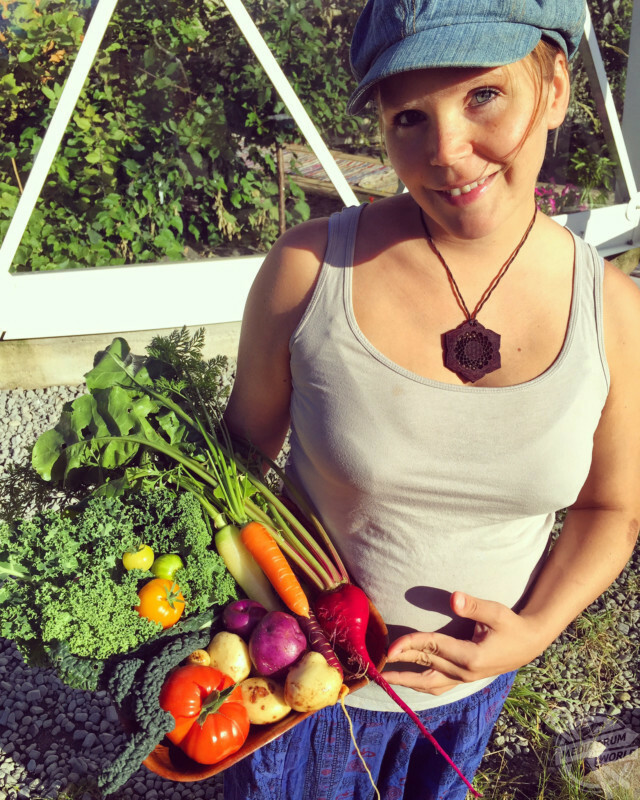 “We are holistic, nature loving, freethinking, open minded permaculturists,” said Ingrid. 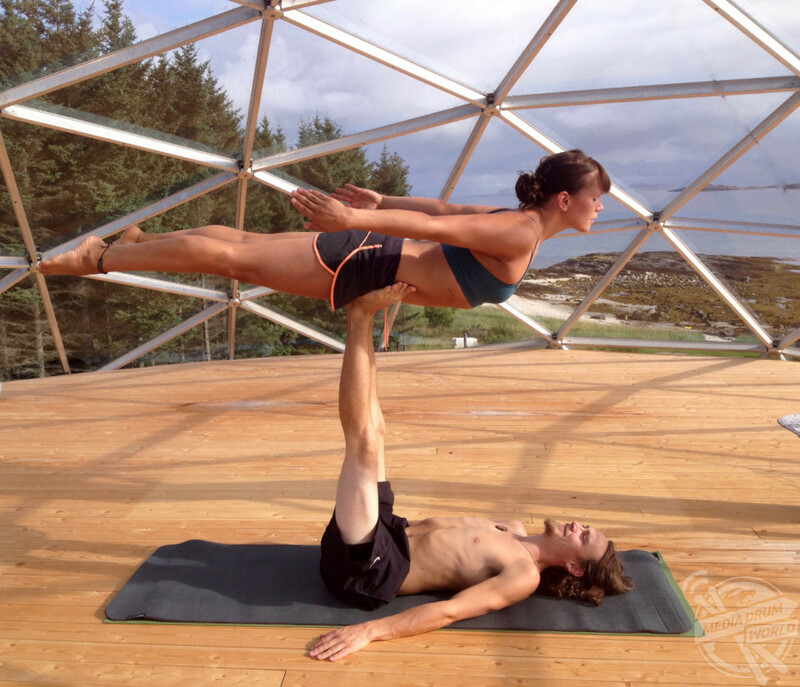 “We love to learn new things and expand our horizons. We believe in accepting others opinions and sustaining inner peace. 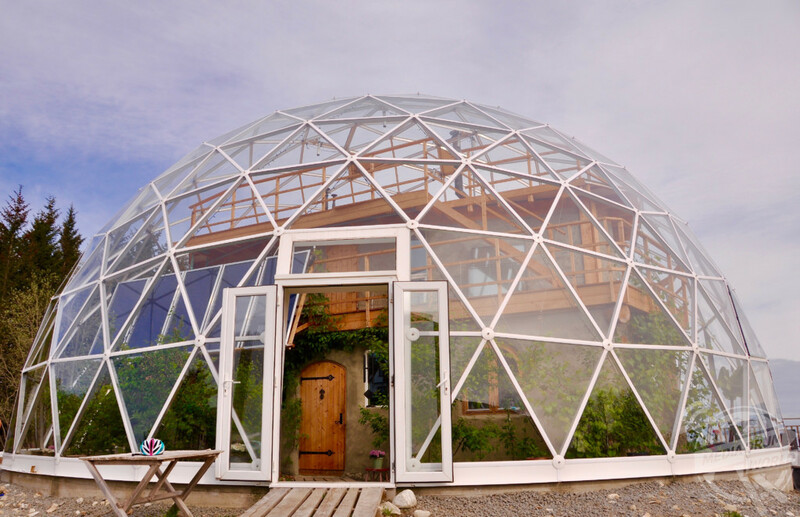 “We have a garden in the dome with edible plants that get its water and nutrients from our waste water treatment system. With help from Stardome Industries, this labour of love took over a year and a half of work until the couple and their three children could move in. 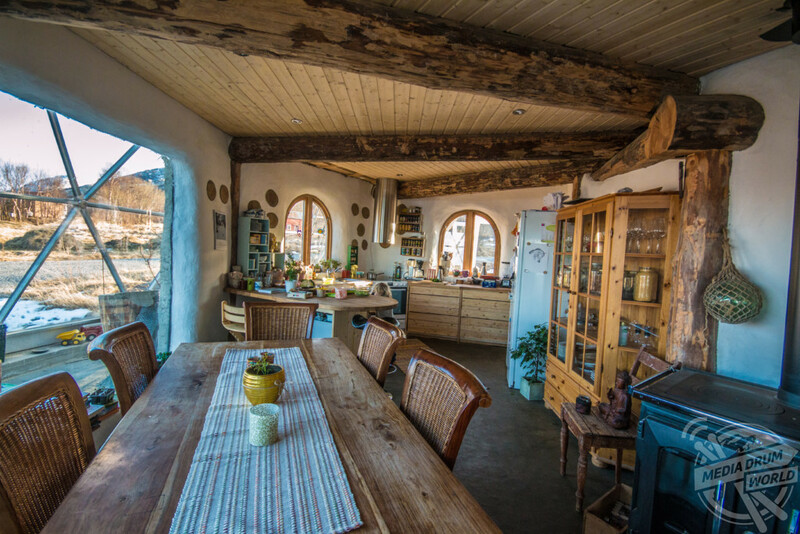 The house itself is made of cob and straw bales packed tightly together to build the walls and plastered over. 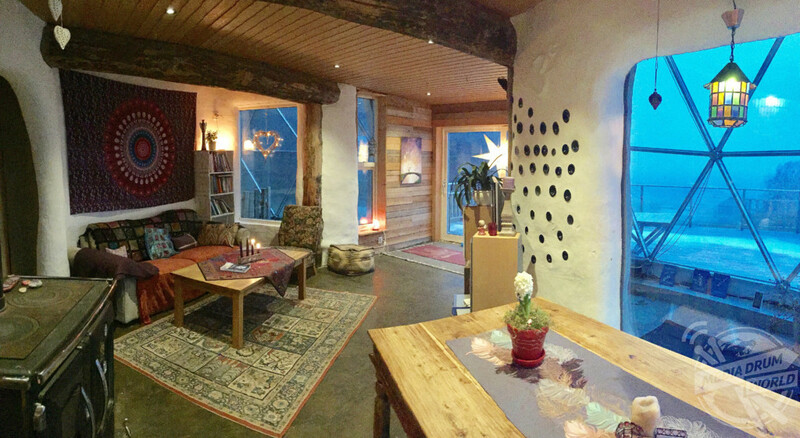 This is a common eco build technique that has existed for thousands of years and has recently seen a revival in the technique in both North America and Europe. 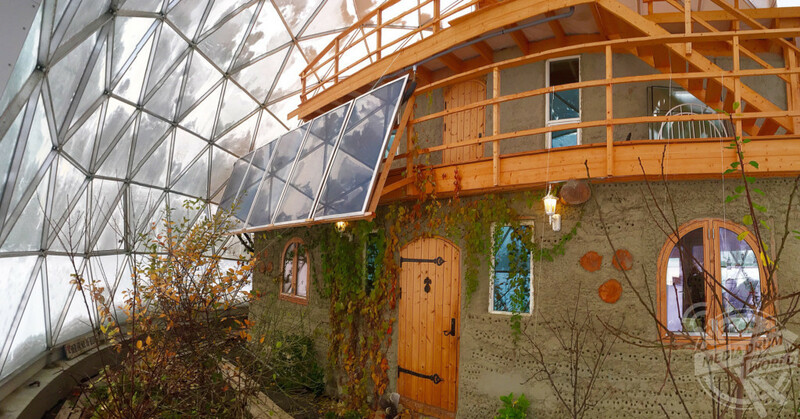 Since building their eco igloo home, it has become a local attraction with people taking pictures and commenting on their unique home. “Visitors comment on the calm and peaceful atmosphere,” said Ingrid.